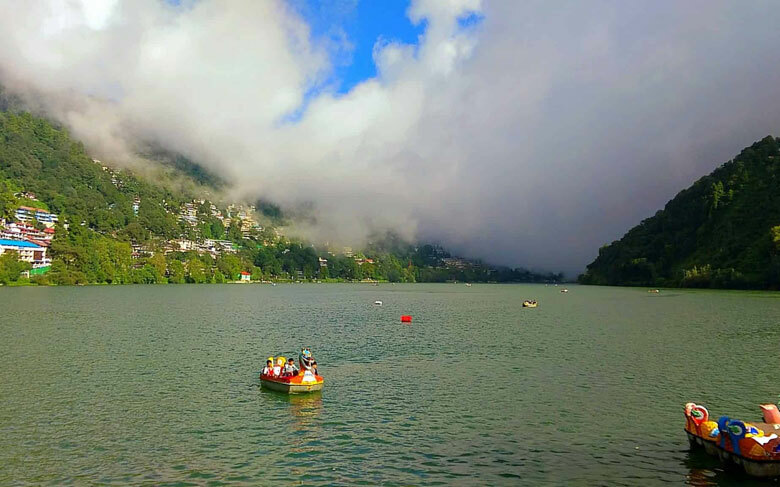 Nainital Lake offers various opportunities for yachting, kayaking, boating and paddling. Both the pedal and rowing boats are available on Rs 120 per hour. Attractive and decorative Gondola boat costs Rs 150 for a round trip in Naini Lake. Boating Fees: Gondola Ride is Rs.210. Pedal Boat is Rs.150 per hour. 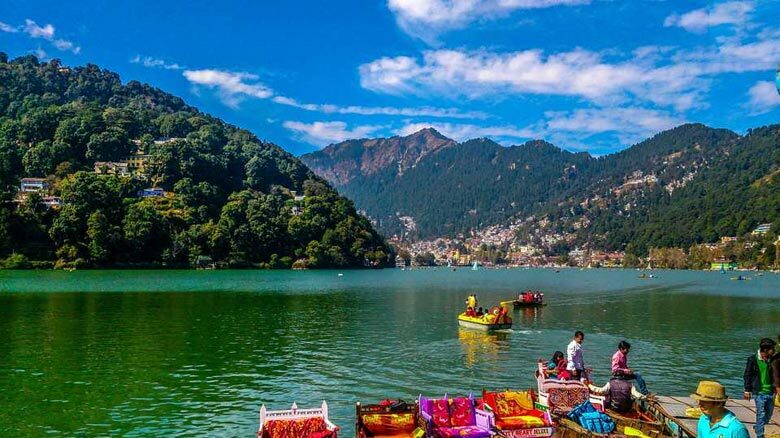 Nainital Lake, a natural freshwater body, located amidst the township of Nainital in Uttarakhand State of India, is kidney shaped or crescent designed and has an outfall at the southeastern end. 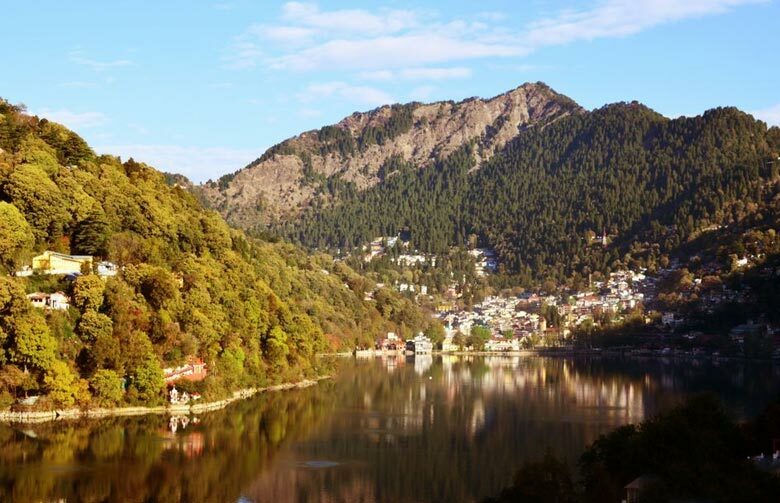 Nainital Lake, famously called Naini Lake is the major attraction of Nainital town as well of Uttarakhand. 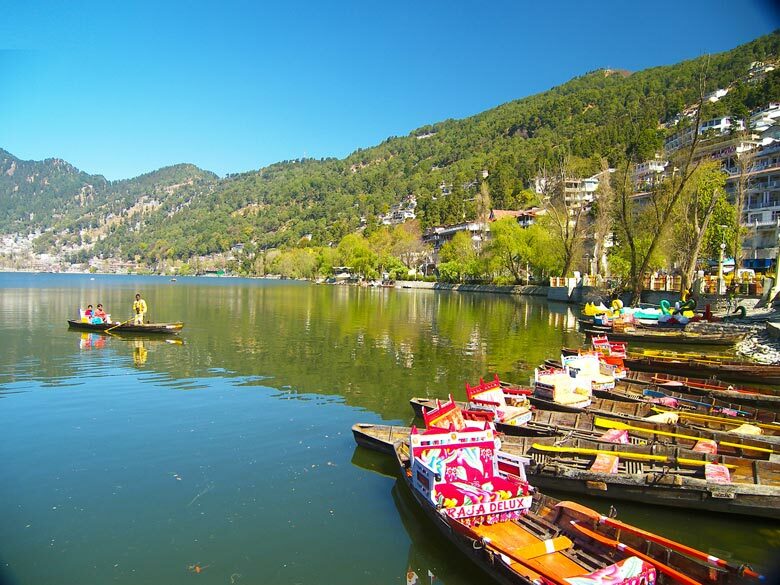 Surrounded by panoramic seven hills, Nainital Lake is a much-loved area amongst romantic travellers all over the world. It is one of the most seen lakes in India. 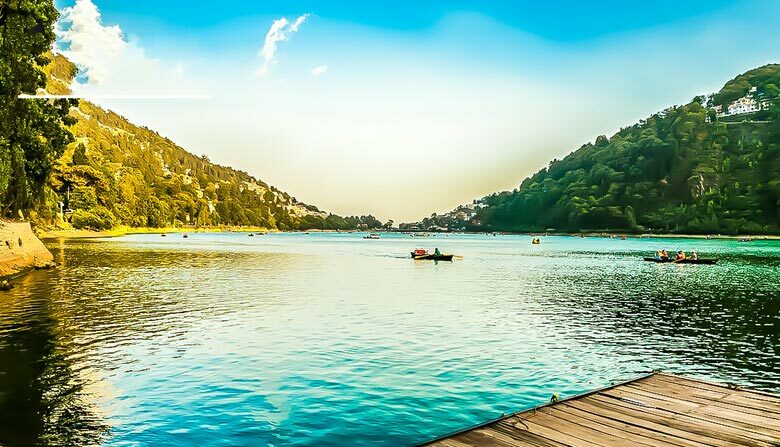 Naini Lake located at the heart of Nainital city and also can be reach conveniently from Kathgodam (35 kms) by taxi or bus. Nearest railway station goes to Kathgodam railway station and also airport at Pantnagar airport] (55 kilometres) or Delhi IGI airport. 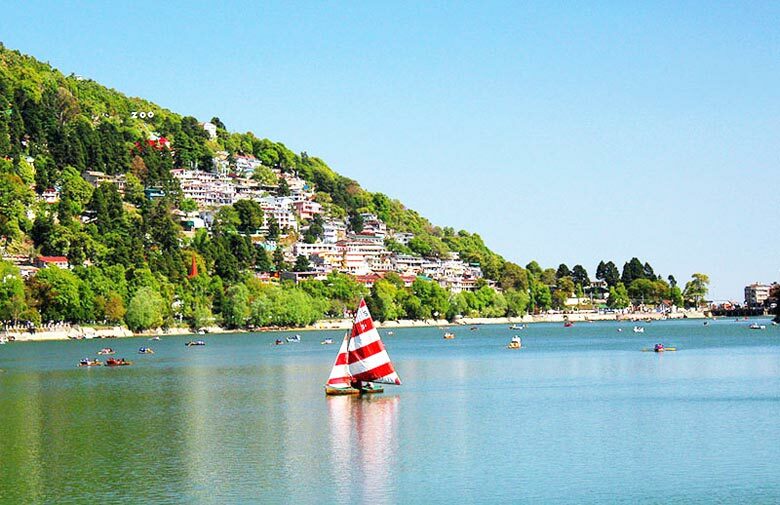 Naini Lake boating is one of the major tourist attraction for traveler seeing this hill station. Various types of boat like paddle boat and rowing boat are available. The price of a full rowing boat for 45 minutes to one hour is Rs 132/-. The rate is fixed and also tickets are to be purchased from marked counters only. There is a shorter duration boating also available. One family can use one boat. Life jacket is use here. Boating facility is also available by the side of the lake in many places around Mall road. While walking by the side of Mall road you will certainly be offered a boat ride by many here. There is a local Yacht club at Mallital popularly known as Boat club. Now Yachting is open to general public and tourist also. But number of Yachts is limited on the peak tourist season we could find two or three Yachts only inside the lake. By the side of the Lake you can dress up using vibrant outfit of kings, queens, Pathan, Dacoit and lots of various other kinds and also take pics. Photos taken here are delivered at your hotel room in evening and also you can pay after getting the images. There are shops all over the banks of the lake, where you can buy souvenirs such as candles and wax products. The lake is home to various types of fish and also other aquatic animals. Book Uttarakhand Tour Packages With Swan Tours! Wander around the place, breath because fresh cold mountain area and have some cutting chai from the nearby shops while you are submersed in the panoramas of remarkable Kumaon Hills and also Naini Lake. Indulge in a photography session as the area offers a perfect backdrop of lake as well as the picturesque Kumaon Hills. Other points of interest such as snow view, cheena height and tiffin top can likewise be detected from here. You can opt for an unforgettable boating experience by the gleaming waters of the Naini Lake under the azure Kumaon Sky.